Brian Jackson says his exoplanets are very hot and very fast as they move around their suns. Click play to hear Samantha Wright's conversation with Brian Jackson. NASA’s Kepler mission was to find planets in the habitable zone, not too close or too far from their star. Like Earth, those planets could be in just the right spot to support life. But Jackson’s looking at a different set of planets, which could help answer questions about the formation of our solar system. These planets are very, very close to their stars. “Some of these planets are almost on the verge of skimming their star’s surface," says Jackson. "So they’re a hundred times closer to their host star then the Earth is to the sun. One planet only takes four hours to travel around its star." Jackson says he wants to find out how these exoplanets -- planets that revolve around a star other than our sun -- ended up so close to their host stars. Jackson's exoplanets could be what's left behind when gas giants like Jupiter get too close to the sun. 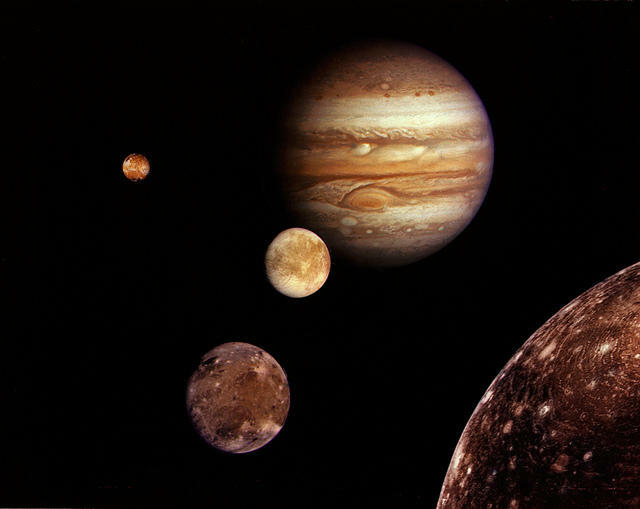 Think about Jupiter. Like our own gas giant, these planets may have started out as gassy orbs before wandering too close to their star. Their outer gas shell would be ripped away by the star, leaving the tiny rocky seed “cores” of the planet, which quickly orbit their sun. But how does that relate to the Earth? He says on average, every star in our galaxy hosts at least one planet. That means there are billions upon billions of planets in our galaxy alone. Jackson says that’s a stirring thought. Jackson and his group of fellow scientists have found four of these exoplanets so far and hope to find more of them during the three-year grant from NASA. Many of us can probably recall maps of the solar system from our school days that showed nine planets, from Mercury to Pluto, orbiting around the sun. All that changed in 2006, when the International Astronomical Association voted to demote Pluto from a real planet to the newly coined category of “dwarf planet,” a move that stirred controversy around the world.